Diabetes UK Family Day Event 2013 - North Wales | Life, Sport and Diabetes - An everyday look at my life with type 1 diabetes. After months of training and preparation the big weekend was finally here! 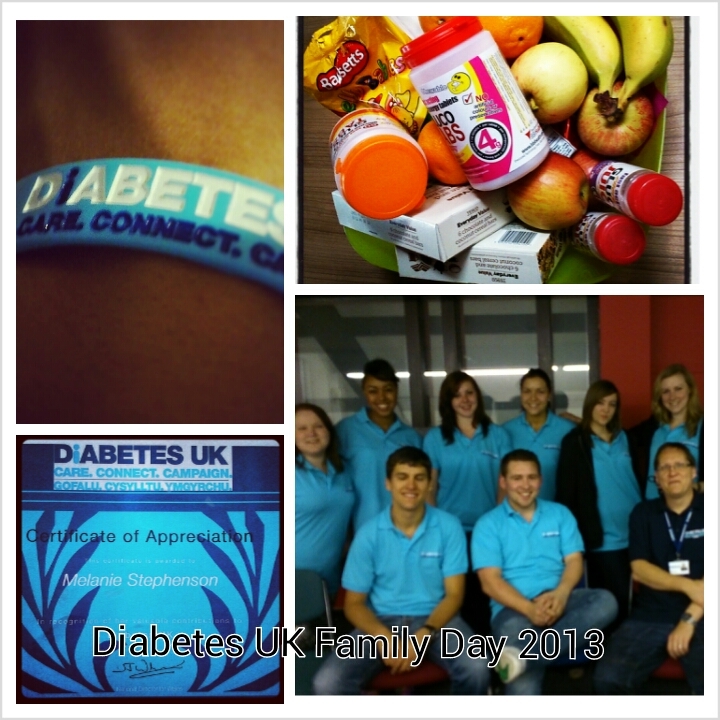 The first of the Diabetes UK family fun days for children and their parents. It took place at Plas Menai sports facility in Caernarfon in North Wales and was expertly organised by Diabetes UK clinical director Chris Headland. But for the 12 volunteers including myself the fun began as soon as we got on the train! 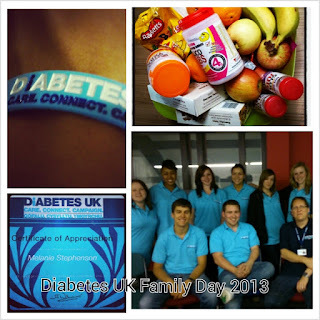 As I've mentioned in numerous other blogs- something great happens when people with diabetes come together. And as the train moved through Wales from South to North, more and more volunteers joined the Young Persons Program Party train as it soon became known. Until we reached Bangor station and were met from the train by another volunteer. After a whistle stop tour of Bangor town we began making our way to our home for the next two days- Caernarfon. Once settled into our dormitories we had a quick briefing session for last minute program run through's to make sure everything was in place for the families, and we were ready. For educational purposes obviously, we even played some of the games in place for the children the next day. Up early and with our bright blue Diabetes UK volunteers t-shirts on we were introduced to the rest of the volunteers that would be assisting on the day. Many of which were staff from both the north and south wales offices and also parents of other #YPP members, who had also kindly given up their weekends to be there. And after what felt like ages the children and their families started arriving. What was especially good about the weekend was that the siblings of those with diabetes were included as well. As in the past I've heard many people say that when their sibling has something like diabetes, a lot of the attention is on them and not the one without the condition. The day was really well organised in that the little ones were all given t-shirts depending on their age, and the older ones were given the choice to leave their parents and come join the volunteers and other people their own age. Whilst the teenagers were enjoying some ice breakers and games to help them get to know each other, myself and 3 other volunteers stayed with the parents. As the day was about education and engagement for them as well. So the day began with a question and answer session where the parents were able to ask us anything that was on their minds regarding diabetes. It was a really interesting experience from the point of view that as the children weren't there, the parents could be open and honest. And it showed the value of a day like this, that so many people seemed to share the same hopes and fears, and hopefully realised that they weren't in this alone. Which was a bonus as I believe the primary purpose of the session was to show that although diabetes throws all kinds of obstacles at you, you can come out better for it the other side. Whilst this was going on the teenagers were learning a similar thing, through talking about tricky times in school, home and at the hospital. We broke for lunch and shared the burden of carbohydrate counting pre-meal and delivering the correct amount of insulin. And then it was onto the fun and games that Plas Menai had to offer. Not being one for heights myself, I chose to do the land based activity whilst the other group of teenagers attempted 'the leap of faith'. The land based fun which first involved a blind folded rope trail where your partner had to guide you round the course had us in fits of giggles. And then we moved onto orienteering- in a fetching two piece waterproof wonder that helped us work as a team as we navigated around the site. All too soon the day came to an end and everybody was saying their goodbye's. What was lovely to see were the children and parents swapping details with their new found friends, promising to stay in touch and commenting what a fantastic experience the day had been. So many people left with smiles on their faces which made the whole experience completely worth while. We can't wait for the next event which will be for children and their families at the end of September this year. In the last couple of months I've learnt a lot about the diabetes community around the world through Twitter and Facebook. But the family days make you realise that there are people living through the ups and downs of the condition right on your door step. And it was amazing and an honour to meet so many of them in North Wales this weekend.